WAVES could, of course, get leaves to spend time with family and friends. But holiday leave – that was another thing. It was highly desirable and tough to get. And the Navy, unlike civilian businesses, didn’t take a day off because it was Christmas. It wasn’t until 1945 that Betty Bruns Lord would be allowed home – to Mason City, Iowa – for the holidays. 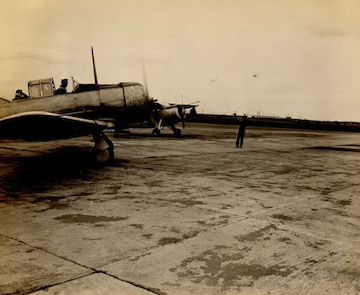 Betty was stationed at Mustin Air Field in Philadelphia working on planes. 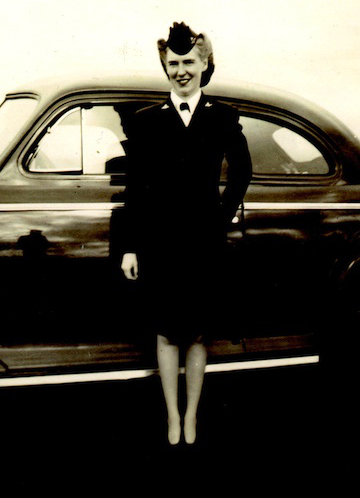 She was one of the WAVES who not only worked on planes, but knew how to fly them. Her uncle had trained her as a pilot before the war. ← Stockings and candy and presents, oh my!